Looking for something different for your holiday scene? How about a Polar Bear family to display on your front lawn! 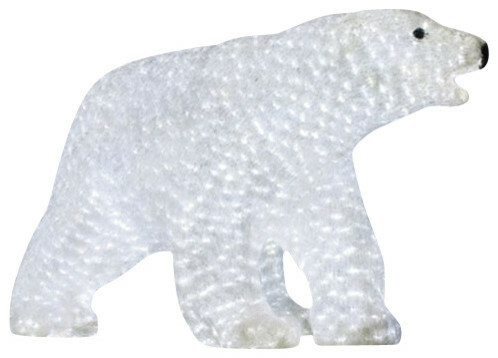 This Mommy Polar Bear is so realistic and the acrylic LED sculpture is constructed for durability. This holiday prop is built to withstand the harshest weather conditions. Mommy Bear comes with a UL listed low voltage transformer for exterior use. A family of Polar Bears for your winter wonderland is sure to please this holiday season! Daddy and Baby Bear are sold separately. W 48" / D 24" / H 28" / 3.25 lb.